We consider the calculation of power functions in classical multivariate analysis. In this context, power can be expressed in terms of tail probabilities of certain noncentral distributions. The necessary noncentral distribution theory was developed between the 1940s and 1970s by a number of authors. However, tractable methods for calculating the relevant probabilities have been lacking. 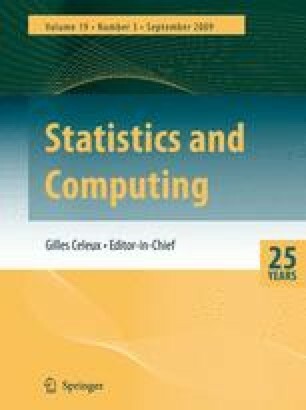 In this paper we present simple yet extremely accurate saddlepoint approximations to power functions associated with the following classical test statistics: the likelihood ratio statistic for testing the general linear hypothesis in MANOVA; the likelihood ratio statistic for testing block independence; and Bartlett's modified likelihood ratio statistic for testing equality of covariance matrices.